We are totally committed to ensuring that your online details are kept completely private and when you give us your name, company name, email address, contact number. We promise to keep them safe and secure and with the exception of that outlined in this policy, we promise never to share them with anyone outside of our website. Our cookies don’t store sensitive information such as your name, address; they simply hold the ‘Key’ so that once you’re signed in, is associated with this information. We’re giving you this information as part of our programme to both comply with legislation, and to ensure we’re honest and transparent about your privacy when using our website. We know you’d expect nothing less from us – we will always endeavour to treat your information as if it were our own. If you’d like to learn more about cookies in general and how to manage them, aboutcookies.org. If you’d like to opt out of cookies, please go to the Network Advertising Initiative website. Please note that we’re not responsible for the content of external websites. Personal data you provide about yourself anytime you contact us about our Services (for example, your name, username and contact details), including by phone, email or post. Placing, processing and dispatching your order(s). Analysing demographic and geographical location data via Google Analytics using cookies. Providing you with website sharing services and social network connectors. We may use information to manage and improve our day-to-day operations. Never share your personal information with someone claiming to be from us. If you believe someone is attempting to deceive you into passing your personal data over, please let us know as soon as possible. We try to ensure our mailings are relevant and contain offers that interest you, but should you no longer wish to hear from us, click the link at the bottom of one of our emails to update your account preferences.The process to unsubscribe your email may take up to five working days. 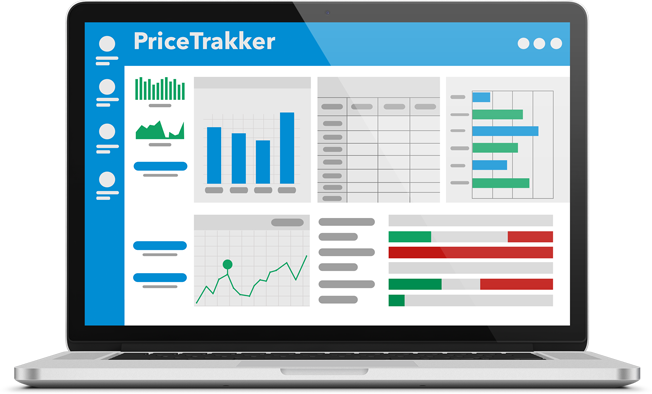 How Does Price Trakker Work?